Olivier goes to Central, where she admits to killing Raven and convinces Bradley to let her take his place. Riza uses a coded message to tell Roy that Selim is a homunculus. Meanwhile, ‘Father’ dreams of ancient Xerxes, where Hohenheim was raised as a nameless slave. 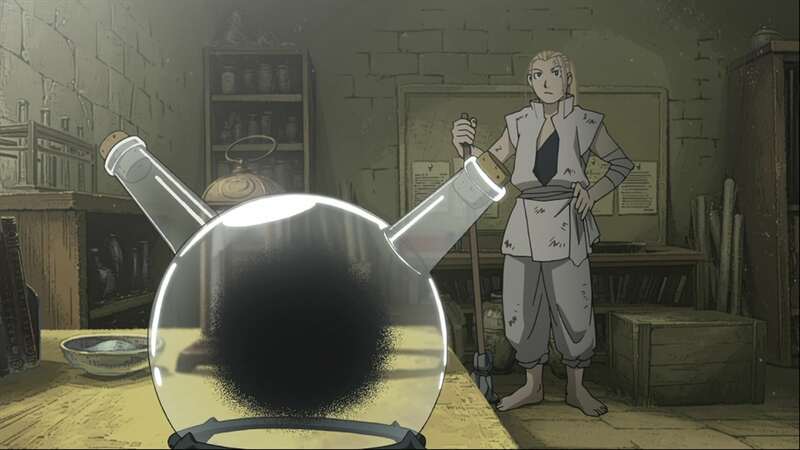 There, Hohenheim met Homunculus, a being in a flask who was created from his blood, which gave Hohenheim his current name and taught him the basics of alchemy. One night, Homunculus was summoned by the King of Xerxes, who asked Homunculus to tell him the secret for immortality. Homunculus tricked the king into making a gigantic transmutation circle, using the whole country as a sacrifice, while it and Hohenheim stood at the center of the circle. 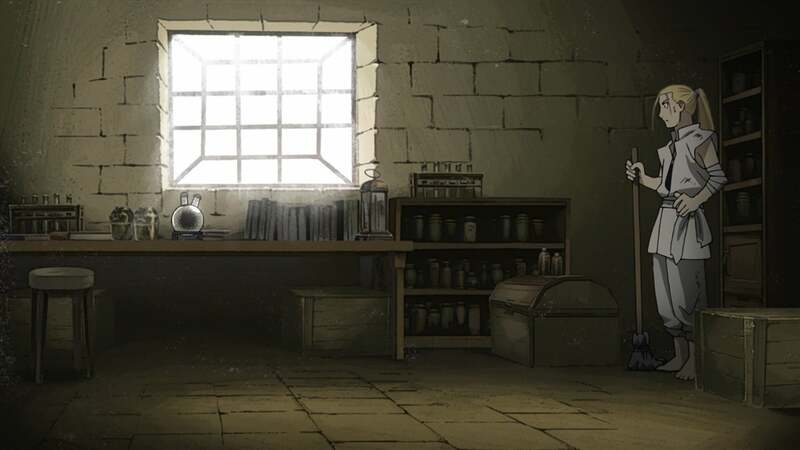 When Hohenheim awoke, everyone else in Xerxes was dead, except for Homunculus. It created a body shaped like Hohenheim for itself, becoming ‘Father.’ Back in the present, after Hohenheim awakes from this shared dream, he runs into Izumi and Sig. When Hohenheim notices Izumi’s sin, he rearranges her organs so that her blood can flow better. After this, Hohenheim tells Izumi and Sig that he is a Philosopher’s Stone in human form.